Born in Sioux City, Iowa, Gary Ellis worked as an actor and model on radio and television before he moved to the Florida Keys in the late 1960s. Catching a sailfish convinced him to stay in Islamorada and learn the local waters. Working as a mate for Capt. Skip Bradeen, he continued part-time gigs in show business doing travelogues, bit parts in movies, and commercials. Eventually, fishing captured his full attention. He studied Keys ecology, gained an aptitude for analyzing conditions, and earned his captain’s license. 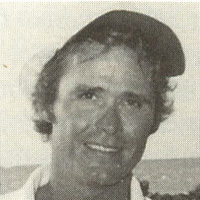 With help from a number of mentors, many of them Keys legends, he mastered backcountry guiding. Ellis became very involved with organizing some of the Upper Keys' first fishing tournaments, including the Islamorada Fishing Tournament-- the beginning of a 40-plus-year career running fishing competitions. In the mid-1980s, when Gary and wife Susan's newborn daughter Nicole was diagnosed with cystic fibrosis, the couple set out to find a way to cure the disease. With the help of many friends and clients, the Ellises launched the Redbone Celebrity Tournament Series in 1988 to raise money for research into a cure for CF. The first tournament raised $16,000; today Redbone Series events held across the U.S. and abroad have raised over $20 million.